I awoke this morning to a winter wonderland. At least 4 inches of snow fell at sea level in Fort William, LOADS more settled over the mountains too. 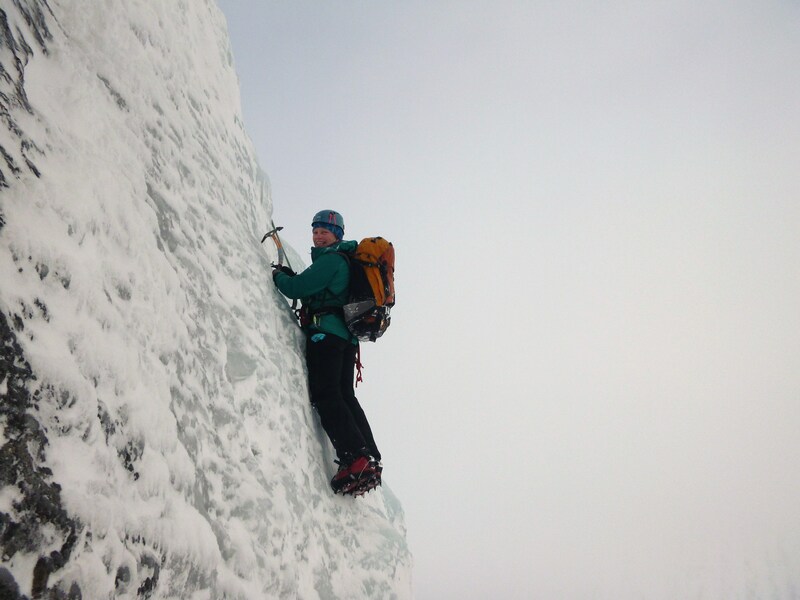 I met Jon in the north face carpark this morning, we were both keen for Ben Nevis ice but walked in with an open mind as to what to get on. I have walked past The Curtain (IV,5) many times but always considered it a secondary route in favour of the longer lines high up. From the CIC Hut it looked FAT with blue ice standing out a mile on the upper pitches. With such good conditions we knew we wouldn’t be alone, as it turned out Di and Heather were already established on the route, we were next then Rich and Jamie followed us up. 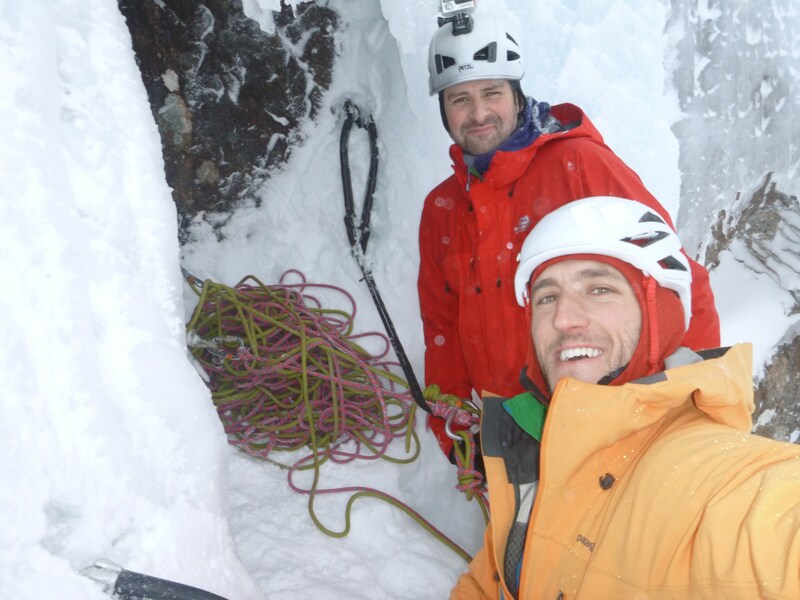 proper sociable climbing, all of us making a living from working in the outdoors, clearly not one of us fancied slogging waste deep in snow to get up high! The Curtain is in superb condition. 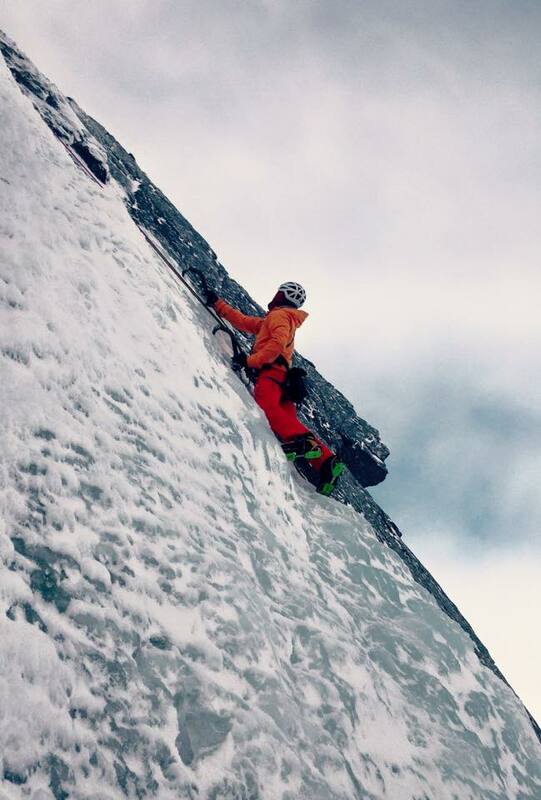 The first pitch was typically run out but there was amazing ice for screws on the second and third pitch. A little brittle in places but with such temperature gradients over the last few days it was expected. 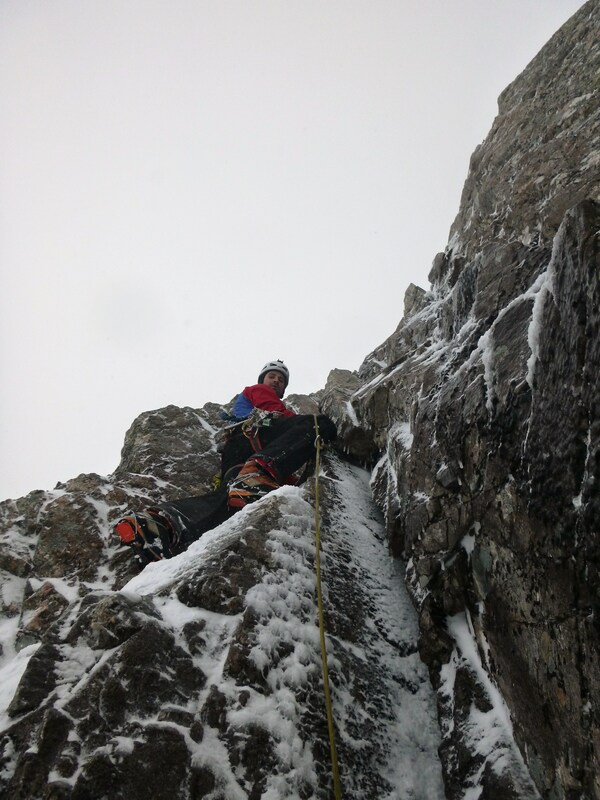 John and I were keen for a bit more climbing and so descended Ledge Route before making good use of the accessible Right Hand Chimney (IV,4) on Moonlight Gully Buttress. 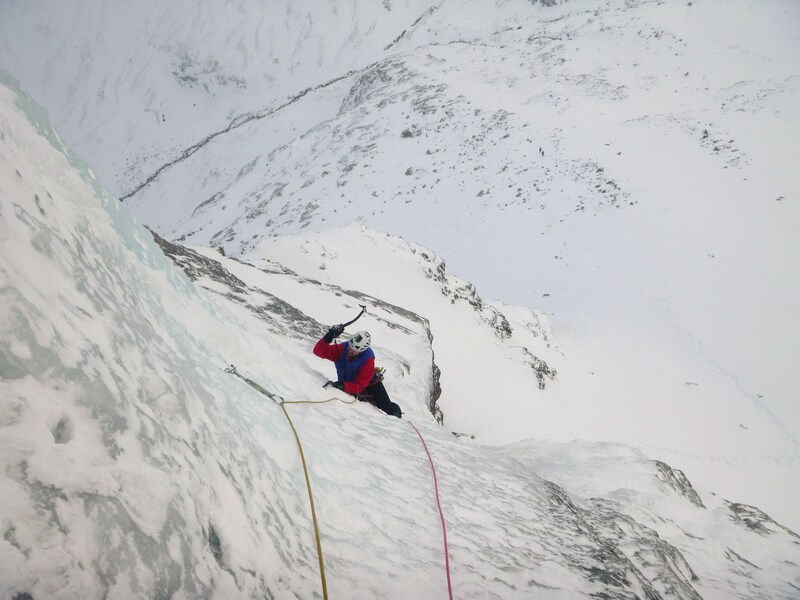 This gave two good pitches of mixed climbing, certainly no push over for the grade. Conditions mid mountain are just superb, it wasn’t as cold as forecast today and we even got a few hours of blue sky with little in the way of wind, not what was forecast but very welcome.